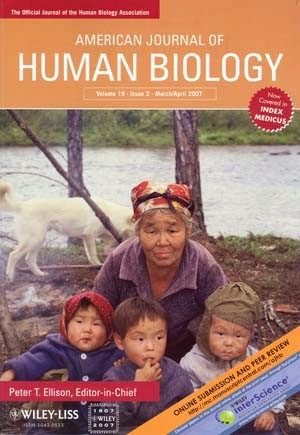 The advent of social media has led to the rise of blogs, and blogging has made its way to bioarchaeology (http://www.poweredbyosteons.org/; http://www.bonesdontlie.com/; http://thesebonesofmine.wordpress.com/; Facebook pages such as the Bioanthropology News group and Osteocentric). These blogs provide a valuable service to the discipline, but still represent the perspective of insiders writing largely (we would argue) for other specialists and students. To really gauge the impact of bioarchaeology beyond anthropology, we data mined articles from Science Daily, a successful and popular news aggregator. Other specialists and students? Sure, those people read PbO, but they're only a fraction of my audience. The authors' choice to use Science Daily as a way of gauging public outreach is rather absurd, particularly since SD aggregates articles written about research by journalists or university PR people and since this method is just a metric of how interesting a science reporter could make bioarchaeological research. That is, checking Science Daily doesn't measure how individual bioarchaeologists are reaching the public. Why not gauge direct public outreach, as of the blogs highlighted? I could provide half a dozen lines of evidence to show how many people I'm reaching and what kinds of information are most read/used, from blog metrics to Wikipedia citations to comments and emails from my readers. I have most of this information readily available because I'm using blogging in my tenure case to demonstrate successful public outreach. Also, why not look at individuals who are engaging in repeated, sustained public outreach in bioarchaeology? The authors specifically mention a 3D reconstruction of the Giza pyramid and a palaeopathology database as "more dramatic media" than blogging for "better rais[ing] the profile of other bioarchaeologies in the public consciousness" (p. 7). But this is like comparing apples to oranges; those singular products are completely different from ongoing conversations with readers in blogs. Creating a blog and growing an audience take a great deal of time, dedication, and tinkering. So yes, Rachel Wentz's Windover book is great, Alexis Boutin is unrivaled in osteobiography, and Kathy Reichs has raised the profile of forensic anthropology in the public imagination. But I don't understand why blogging gets such short shrift in this article as a successful method of engagement. As I write in a forthcoming article with Katy Meyers of Bones Don't Lie, through PbO, I have "found many positive benefits from... involvement in social media and outreach, including publications, citations, funding, contract writing jobs, and new connections with science reporters, colleagues, students, and the public." I've had my own research written up by science reporters and discussed by a national public radio host; I have personally written about my research in a publicly-accessible way on my blog (in a post that has been accessed 35,000 times compared to 6 citations for the journal article it's based on), and that post was chosen as some of the best science writing of 2013; I've talked about others' research, both for the public and as a peer-reviewer; I write about bioarchaeology and biological anthropology for a popular science magazine; and I reach a whole different audience by pointing out the positive and negative aspects of forensics and osteology in the media. It could be my utter lack of sleep over the last couple weeks owing to my newborn, but it was hard not to take this article a bit personally -- and my taking it personally is made all the more weird by the fact that although PbO and other blogs were mentioned in the article, their authors were not credited in either the article or the bibliography. What, precisely, are the authors looking for in public engagement in bioarchaeology? (And why aren't these two authors themselves doing it rather than writing an armchair view of public outreach?) I'm a bit mystified. I do agree with them, however, that whatever it is, bioarchaeologists need to be doing more of it... if possible (there are sometimes insurmountable barriers to public outreach in bioarchaeology, and the authors fail to discuss this). At any rate, after I get some sleep and get through the insanity that is the month of March, Katy Meyers and I are (spoiler alert!) working on a longer manuscript on blogging bioarchaeology and public engagement, so I'll have some more coherent things to say soon! In the meantime, if you're a non-student, non-specialist who reads and enjoys this blog, feel free to leave a comment about why you're interested in bioarchaeology. I first came across your work when io9 linked to you looking for funding, and found the blog so delightful that I've followed ever since. I'm a 50-something housewife (with no degree), and my husband and I get a big kick out of playing "Who Needs an Osteologist?" every week that "Bones" is on. He's a computer geek but has learned which way the scapulae and pelvis go! The links to popular articles are always good since I often wouldn't see them. I think these folks sound like "well, we don't know what it is and can't do it, so no one knows how to, right?" And not citing the blogs is bad procedure, what are footnotes for otherwise?